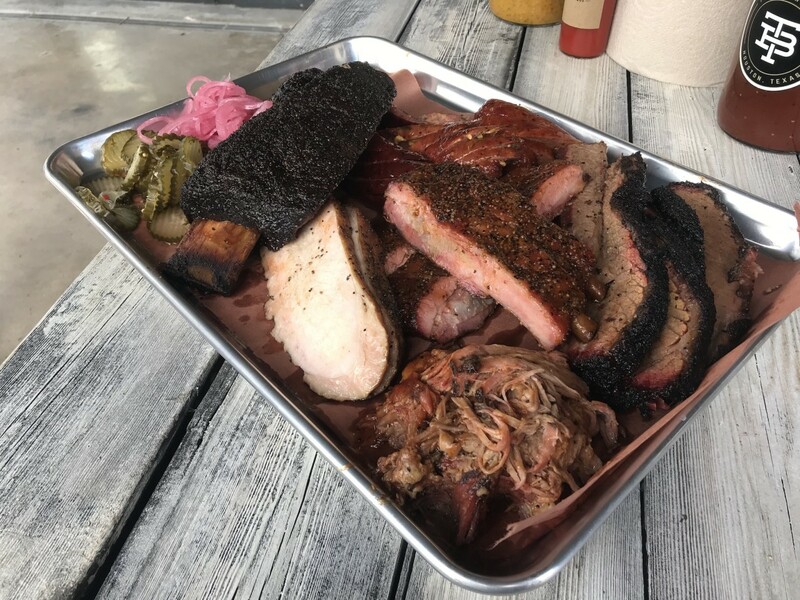 On this week's episode of "What's Eric Eating," chef Jonny Rhodes joins CultureMap food editor Eric Sandler to discuss his restaurant Indigo. 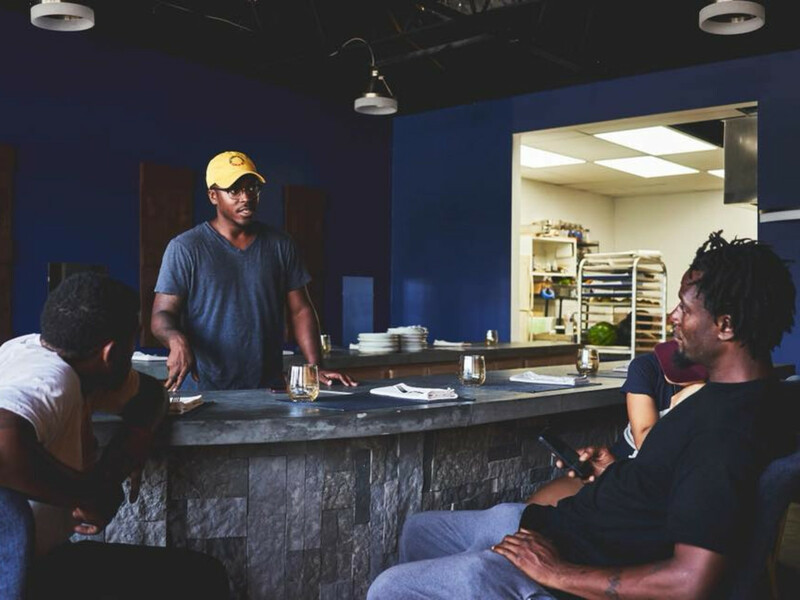 Located in the Northline neighborhood, the tasting menu restaurant that's inspired by the history of soul food has been attracting a lot of buzz from local food media. 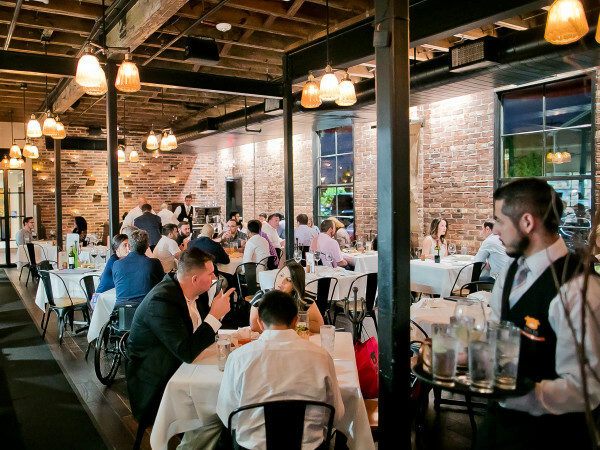 The conversation hits a number of topics, including the restaurant's relationship with its neighborhood, plans to expand the restaurant by building out a garden, and the response from diners and critics to Rhodes' dishes. 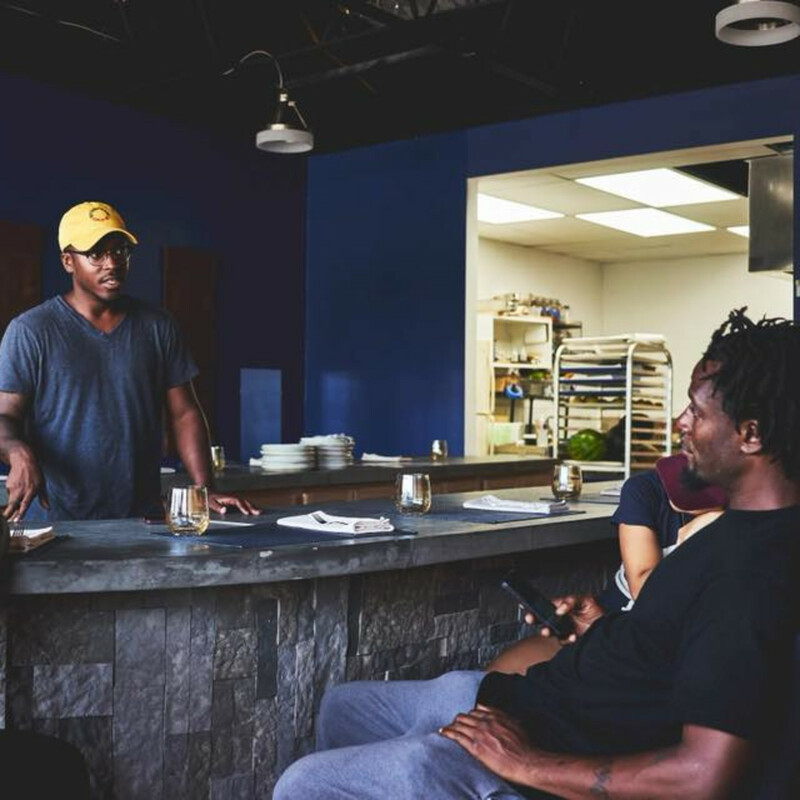 At Indigo, the chef blends the vegetable-focused, Nordic-inspired cuisine he learned while working at Oxheart and other restaurants with research into historical soul food trends. 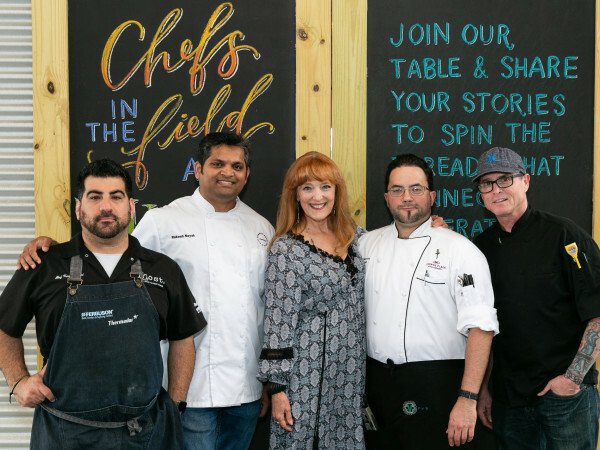 In addition to learning what people ate, the chef wants to understand the political and economic conditions that shaped why they ate what they did. He shares that scholarship with diners throughout the meal. Sandler asks if he ever gets pushback from people about the topics he covers, which may include uncomfortable issues such as slavery and mass incarceration. "You'd be surprised by how often people are willing to engage in dialogue. That's because we don't talk enough. 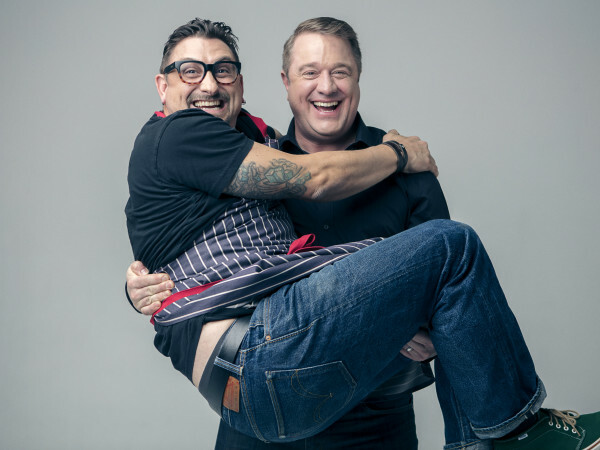 That's the whole reason we have that communal table at Indigo — and that's the reason I don't have Facebook or any social media anymore — it's so easy to get online and not hear what anybody else has to say," Rhodes says. "You can sit down at a table, and it's easier to have a meaningful conversation when one person is eating and the other is talking. You can't cut them off when you have a mouthful of food. As much as people may think I'm teaching, I'm also learning. The learning never stops. Somebody may have a perspective that I may never have considered before." Prior to Rhodes joining the show. Fluff Bake Bar owner Rebecca Masson joins Sandler to discuss the news of the week. 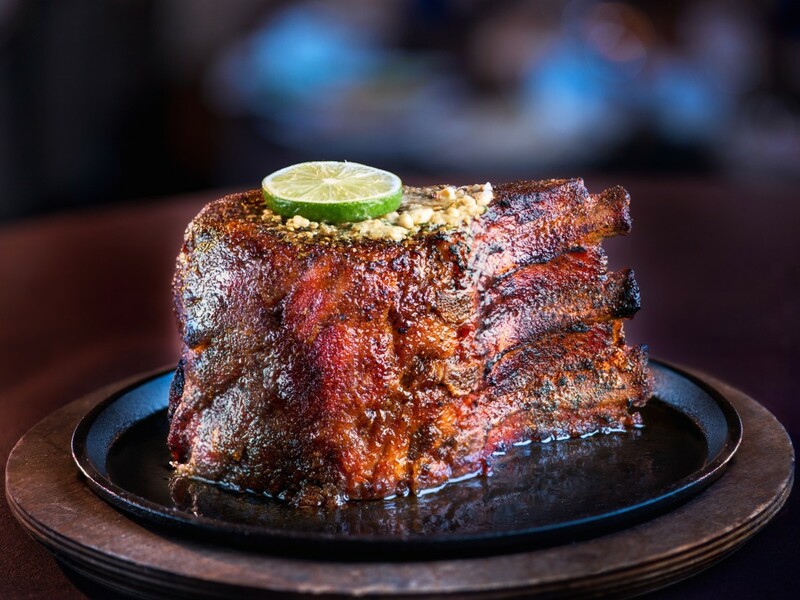 Their topics include chef Ross Coleman's new job at 2840 at Dukessa, the opening of Perry's Steakhouse in River Oaks, restaurateur Ben Berg's plans to transform Carmelo's, and the viral Instagram bingo cards created by social media influencer Julie Nong. 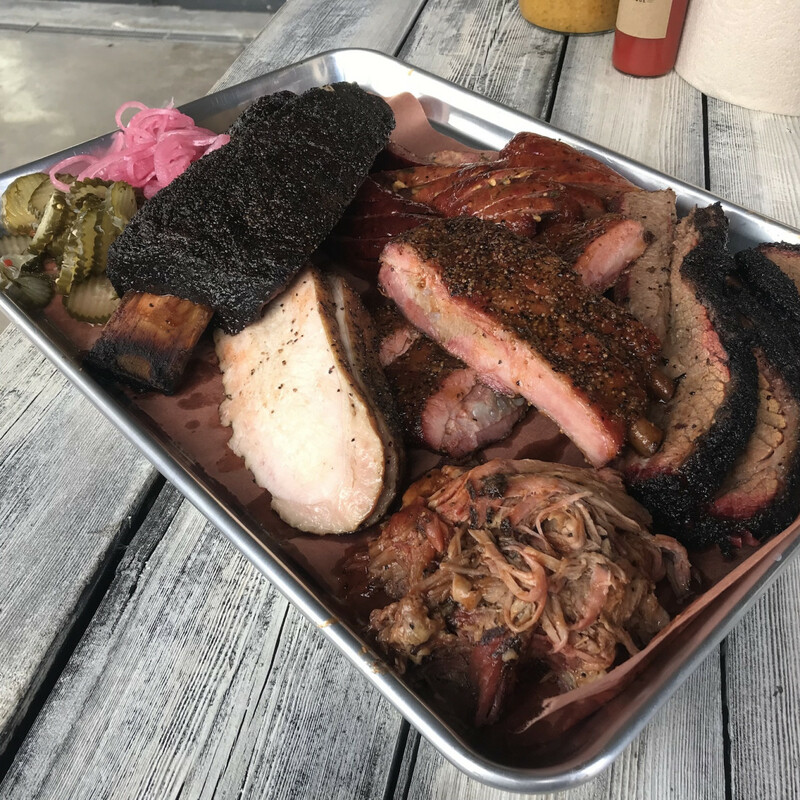 In the restaurant of the week segment, the duo rave about a meal at the newly-opened Houston location of Truth Barbeque. Masson is so impressed by the restaurant's signature layer cakes that she requests one for her birthday in May. 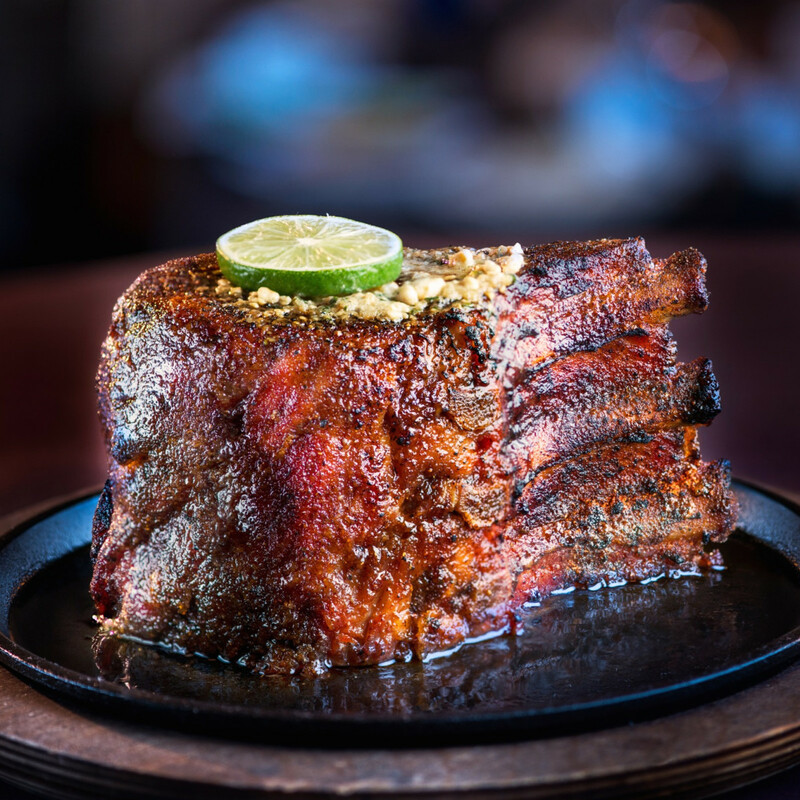 Sandler suggests it may already be a top-five Houston barbecue joint. Subscribe to "What's Eric Eating" on iTunes, Google Play, or Spotify. Listen to it Saturday at 3 pm on ESPN 97.5.